Hey all! 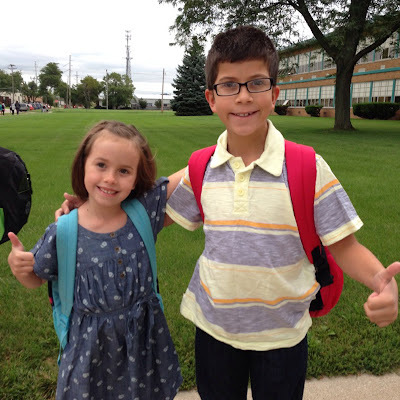 After an extremely busy Summer the kids started back to school today and I've started to get our life back in order. I have an empty fridge and a really messy house. I'm feeling a little overwhelmed but I know with time I'll have some order again. Something that has been on my mind lately is how our family eats. I don't feel like we are extremely unhealthy but we definitely have room for improvement. Mainly, I'd like to do more whole foods cooking and try to cut out more processed foods. Jillian Michaels as loud as she is, is one of my favorite fitness gurus. I love her philosophy of calories in/calories out. Simple as that. She also teaches the 80/20 philosophy. Meaning, 80% of your time eating "clean" and 20% of your time, living life. I'm not the type to say sugar is evil, hello, cupcake fan here. But I do think an 80/20 way of life is doable. I'd like to occasionally post any websites or recipes that we find are helping us on our journey. In my "research" I found a website that has kind of guided me on my start to more whole foods cooking. How did Maggie get so grown up?? I can't believe how much older she looks!! Wowza! Love this post, I need to live the 80/20 law!